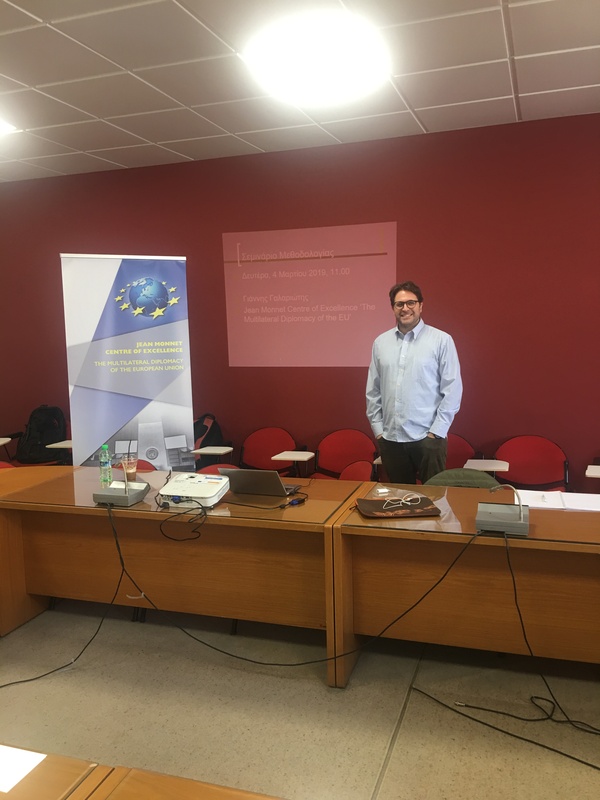 On 4 March 2019, Dr. Ioannis Galariotis delivered a Training Session entitled “Analyzing International Organizations: Research Methodology and Planning”. 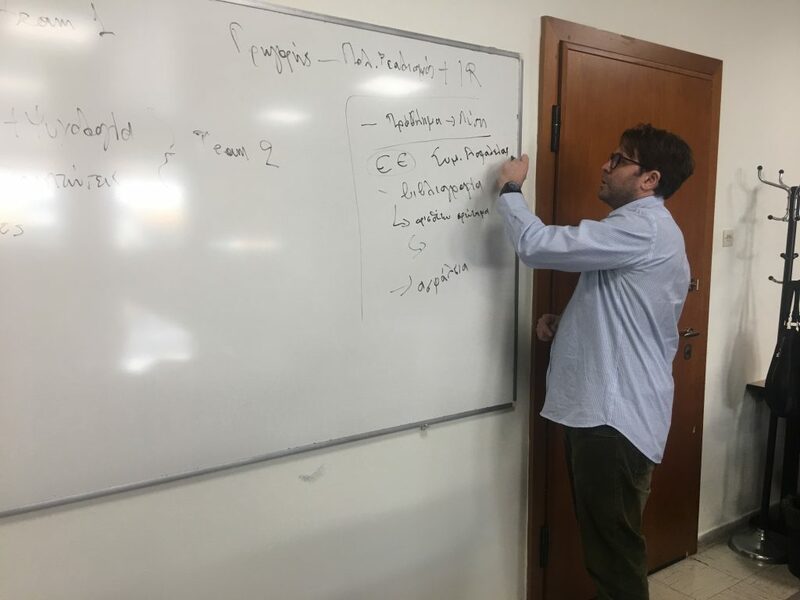 The training took place from 11.00 to 15.00 at Room D4 in the main building of Athens University of Economics and Business. The participants, i.e. 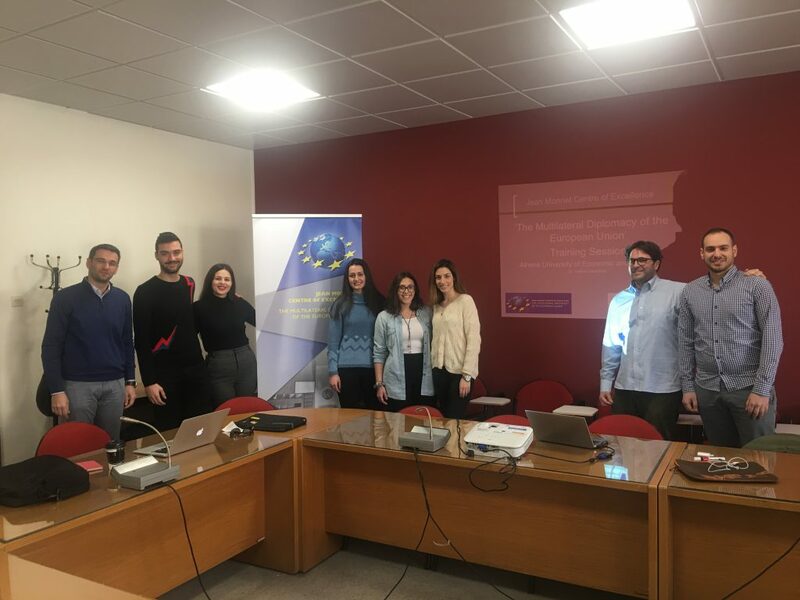 undergraduate and graduate students, professionals from relevant fields having a career path towards International Organizations (IOs) or/and EU institutions, had the opportunity to: better familiarize themselves with the challenges of IOs; comprehend the dynamics of EU/IOs relations; learn methodologies how to conduct academic research in the fields of IOs.